Though the Global North often dominates the electronic industry, its growth can only be attributed to a worldwide community of fans and artists alike. Felguk, the Brazilian duo of Felipe Lozinsky and Gustavo Rozenthal, have helped balance the Euro-heavy business, adding their names to the roster of acclaimed DJs from the southern hemisphere. And with a discography that jumps from originals like “Bassive” to collabs with Yves V, “Wow”, all sprinkled with remix wonders (take a listen to their reimaginations of “Celebration" and “Milk and Honey”), who can be surprised? 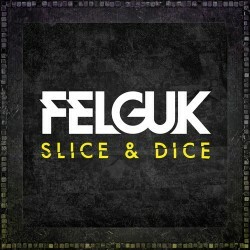 Now Felguk adds their first official EP to this list, a 6-track frolic through electro house and dubstep known as Slice & Dice. Not to be missed by its assault of syncopated synth and bass topped with truncated vocals, the title track confidently claims the top spot of this release. Also catching my attention, “Loudblue” takes you on a dreamy trip through metallic piano, finally exploding into a buoyant, legato melody after the drop. 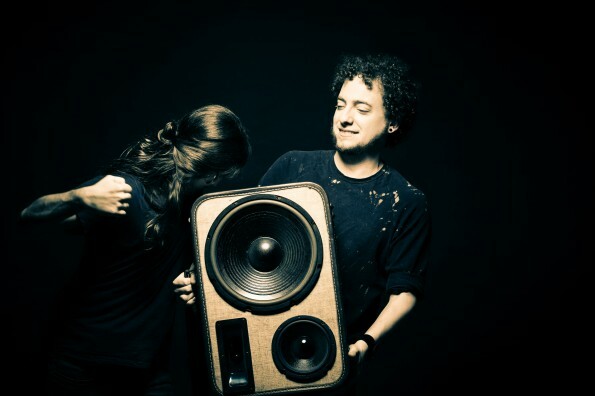 For those who want less house and more step, you will be pleased by "Shine On", a reinvention of Infected Mushroom's "I Shine", which strips the vocals and partial melody from the original and covers it with dub/electro trappings. In the same vein, American artist 12th Planet remixes "Slice & Dice", infusing it with some decidedly trap percusssion lines before breaking into fast-paced beats (140 BPM to be precise). While markedly different, the guys produced the EP to be a cohesive whole. So take a listen to the final two songs "Get Down" and "Dead Man Swag" below, support the artist however you can, and read on for an interview of all things Felguk. Earmilk: How did you guys get your start and how has your sound changed over the years? Felguk: We worked together in a company that produced audio for commercials. Every day when we finished working, we stayed at the company’s studio for hours and produced our first 10 or so tracks there, so we are very grateful for our former boss, lol. Back when we started, dance music was living in the minimal and techno era, and electro had some of these influences. It was more about the groove than about the drop, and there weren’t that many melodies and harmonies going on. Our breakthrough into scene was exactly by adding a melodic feel to electro; raising the energy, sometimes going to 132 bpm. Over the years we’ve had many changes to our sound – from the buzzer lead sound in “Buzz Me”, to the melodic theme of “Side By Side”, the plate reverb bassline from “Jack It”, the huge sawtooth basslines of “Bassive” and “Wow” – we’ve been evolving our signature sound through the many “colors” of electro (and sometimes outside the genre) that has ultimately led to our new 2013 sound, our most ambitious project so far, the Slice & Dice EP. EM: Was EDC's use of "2nite" a big break for you or did things stay relatively the same after the trailer premiered? FG: It was huge for us. The track fit the trailer perfectly. People flooded the comment section on YouTube talking about it and it was the milestone that made us really start touring the US. EM: Do you spend most of your time in Brazil? What are some of your favorite places to play (or vacation) away from home? FG: We live in Rio and play most of our shows in Brazil, which makes us able to sleep on our own beds very often! When we are touring we always love to play in California, where we have our biggest international following. Since the beginning of our career we have never taken a proper break! So now we’ve planned our first vacations; Felipe is going to Northern California, and I’m going to Tuscany in Italy with my girlfriend. Not bad, right? EM: Earlier this year you did a tour across the United States. Was this your first full American tour? What were some of the best nights/experiences from it? FG: USA is the country that we tour the most (besides Brazil of course). In 2010, we did 6 US tours, which is a lot for us. We have had memorable moments at EDC, Nocturnal, Avalon, Webster Hall, Electric Zoo, and many more. We love the scene there! EM: “Slice & Dice” is the first single of your forthcoming release. Can you describe the process by which you produced the EP? Have these songs been stewing for a while, or were they made specifically for this? FG: Most of the tracks were made specifically for the project. We thought it was about time that we released a bigger “body of work”, rather than just releasing single after single. This EP was produced over this first semester, between gigs and tours, and it demanded a lot of focus and discipline, and a ton of self-control to not release the tracks right away! EM: Although you have released a number of multi-track productions, you say this is your first official EP. Why now and what have been the obstacles releasing this project? FG: We decided it was a good time to put out something more than just a bunch of tracks – something consistent, meaningful for us and for the scene. We have had some multi-track releases before, but not like this. This is way more planned; it involves changes in visual identity, a brand new show and an evolution on our signature sound. It’s a reinvention of Felguk. Last year we had a big hiatus in the studio when we focused on other aspects of our careers and personal lives, and when we finally went back we decided to go full throttle. New samples, new synths sounds, new ideas and lots of sitting down and working. EM: Following up on that, can you give us a little preview on the other tracks from the EP? FG: The EP consists of five originals plus a 12th Planet remix of “Slice & Dice”. The opening track goes from a salsa inspired piano breakdown to a very groovy drop, with a huge formant bassline "talking” sound. The second track is called “Get Down”, and it is by far the most “booty-shaking” electro tune. “Slice & Dice” has a big room vibe, but it’s the darkest track on the EP. The last track I’ll mention here is “Loudblue”, an uplifting melodic track and a real party song. EM: Have you ever thought of doing solo projects? If so, would they still be house or would you branch out into new genres? FG: We love many kinds of music, but we are still completely focused on Felguk. Every once in a while we love to experiment new sounds and genres, such as in “Plastic Smile” and “Move It Right”, and I’m sure we’ll keep producing these kind of tracks. EM: Do you happen to have any details regarding future releases or collaborations that are in the works? FG: Right now our focus is on the release of this EP and the tour afterwards. But we intend to go back to the studio in the second semester for the production of several singles and collaborations. We’ll let you know! EM: What do you hope to accomplish by the end of 2013? EM: Can you name some upcoming artists that you've been listening to and we should keep an ear out for? FG: Tujamo might be our favorite artist right now. He is going the opposite way to everybody else, doing minimalistic, groovy electro. Zedd is a very inspiring artist as well, he always delivers something fresh and unexpected. To complete our list, I’d say Tommy Trash. He’s been consistently releasing top-notch tracks in terms of production and composition.